Specialising in strategic communications, media and community engagement, Amber Brodecky is known as a trusted advisor and reputation manager. An experienced senior leader at Executive Director level, with more than 15 years public sector experience, Amber has record of achievement in delivering integrated strategies and plans targeted at complex stakeholder and public issues. Amber’s experience spans the police and emergency management, justice, regulation, health, infrastructure and environment sectors. She has worked across local, State and Federal governments, in multi-jurisdictional and national environments, closely with political offices and extensively with media. Amber held a key leadership role for the State of Victoria during Australia’s largest emergency, Black Saturday, for which she was awarded a National Emergency Medal by the Prime Minister. She also led Australia’s first successful negotiations for all commercial radio stations to become emergency broadcasters. Amber has assumed key roles on a wide range of independent government inquiries, and has held central and senior roles in response to a broad range of high profile events and emergencies. 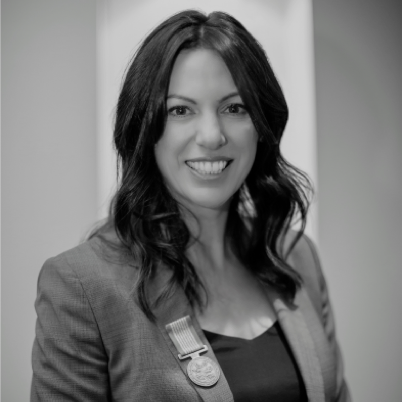 She is a strong advocate for the importance of active and empowered communities and has engaged directly with hundreds of regional and metropolitan community members in emotive, robust and complex situations. A leader and senior manager of large teams, Amber has an extensive network of successful relationships at the most senior levels. 2018 © Truth Agency. All rights reserved.